China has emerged as a popular destination for Pakistani students seeking overseas study, as the two countries gradually enhance cooperation in economy, trade, and infrastructure. As of now, according to some new local media reports, around 2,5000 new Pakistani students enrolled in Chinese universities last year. Out of these 25,000 students, around 7,034 are studying on scholarships in various Chines universities. Due to a series of preferential policies after the launch of China Pakistan Economic Corridor (CPEC), a pilot project of Belt and Road Initiative between the two countries, the number of Pakistani students studying in China has risen to 25,000 in 2018 from 9,630 in 2013. As per the reports of Chinese media outlets, Pakistan has become China’s third largest source of international students, after South Korea and Thailand, moving up by 6 places since 2012. The two countries’ traditional friendship is the first reason that Pakistani students choose to study in China. Currently, there are 6,156 Pakistani students who are pursuing Ph.D. programmes in China, 3,600 students in master, 11,100 in bachelors and around 3,000 thousand in short-term programmes. Meanwhile, the number of students studying in China with respect to subject details is as follow. 6,000 students are studying engineering, 7,000 in medical, 1,900 in science subjects, 2200 in Chinese language and some students in different subjects like BBA, IT, and trade economic in various universities of China. 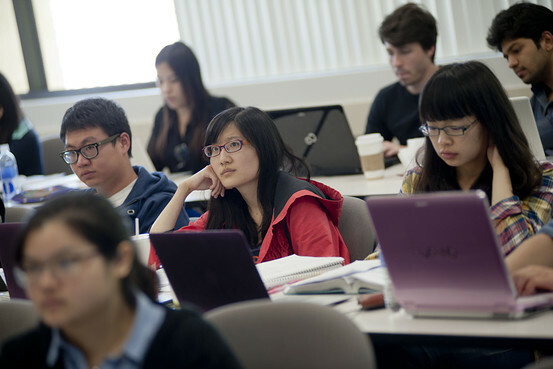 It must also be noted that different scholarships are provided by the Chinese government to attract international students over – most notably, students from the Belt and Road Initiative participating countries and regions, have been facilitated to obtain scholarships under the Chinese Government Scholarship – Silk Road Program. The post More than 7,000 Pakistani students are studying on scholarships in China appeared first on TechJuice.